This is the Superslick Professional valve oil with a light viscosity to help keep valves moving quickly and smoothly. The oil is supplied in a 1.25US FL OZ bottle with a screw cap and safety nozzle dispenser. 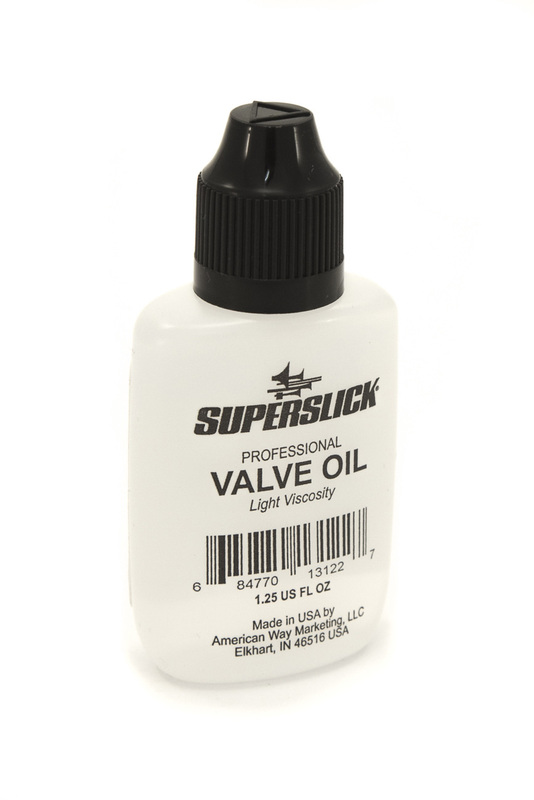 The oil is made in the USA and is great for application on any piston brass instruments like Trumpet, Cornet, Flugel, Baritone, Euphonium, Tuba etc. I have some experience with this product, although a little thin for my use on old instruments it does what I expect it to do without being expensive.